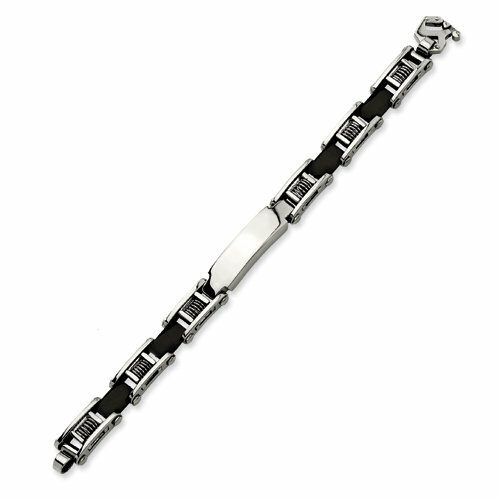 EngravingShop.com offers a variety of engraved sterling silver ID bracelets and other engraved ID bracelets. Choose from silver baby ID bracelets, ladies silver ID bracelets and silver men's ID bracelets. 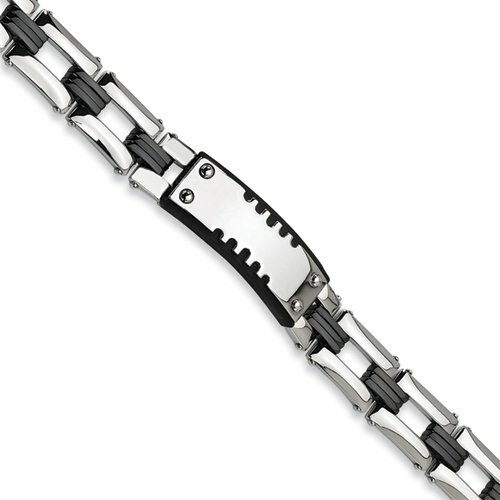 We offer silver figaro ID bracelets, silver anchor ID bracelets, silver cuban ID bracelets, and color rubber ID bracelets for kids. Need an engraved ID bracelet? All of our ID bracelets are available with or without engraving. ID bracelets were once the ultimate symbol of coupledom, dating back to an era that some call the greatest generation. Today, adult men and women are donning ID bracelets as a fashion trend, though the current connotation tends to be more about individuality and freedom. These bracelets can be personalized and are growing in popularity. Engraved Children's Silver Figaro ID BraceletOur sterling silver engraved baby ID bracelets include this children's silver ID bracelet with figaro chain. The Cuban link ID bracelet and rubber wristband bracelets are versatile gifts, great for both young and old. The engraved children’s ID bracelets and colored rubber ID bracelets are a great way to keep track of children on field trips or on school outings. The engraved chisel ID bracelet and engraved anchor ID bracelet are available for men and women. The engraved silver Cuban link bracelet is a great alternative to necklaces and rings for ladies. 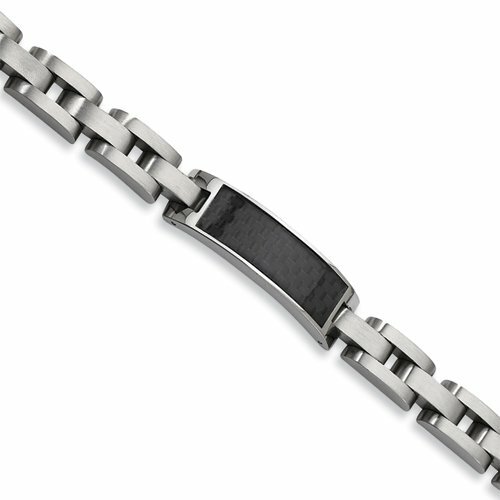 The engraved Figaro ID bracelet is for the special man in your life, with solid sterling silver and an engraving area that’s 1 1/2 x 3/8 inches.